Our product range includes a wide range of multi color sari silk thrums for yarn stores, multi colored saree silk thrums fiber, multicolored saree silk fibers, solid coloured sari silk thrums for yarn and fibre stores, silk fibre and sari silk fiber. Width 72", 58-60", 108", 35-36", 44-45"
Our Saree Silk fiber are also available in multi colors. 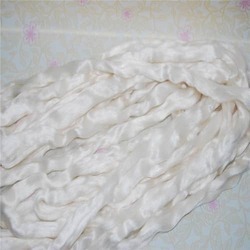 We manufacture a large range of Silk Thrums. Width 58-60", 108", 35-36", 72", 44-45"
We manufacture a large range of multicolored saree silk fibers that are suitable for spinning. 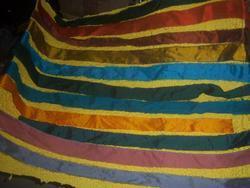 We manufacture a large range of multicolored saree silk thrums Fiber. 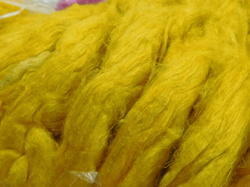 We do manufacture a large range of saree silk fibers for yarn stores, available in multi colors and solid colors. 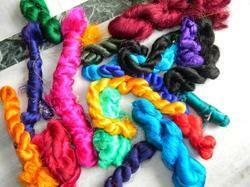 We manufacture a large range of multicolored saree silk fibers suitable for spinners, weavers , yarn and fiber stores. Our Saree silk multicolored waste is also available in longer fiber lengths. We manufacture a large range of Saree Silk Waste. 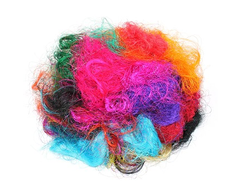 Our Sari silk waste is available in Multicolored and Plain Colors. 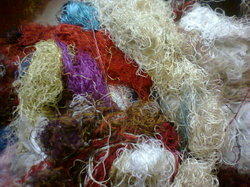 Our Sari Silk Waste is used widely by Spinners. We manufacture a large range of saree silk thrums fiber in solid colors and multi colors. Solid colored Saree silk fibers for spinners and weavers. Multicolored Saree Silk Fibers in Mixed and Solid Colors for Spinners. 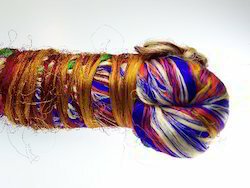 Sari Silk Fibers suitable for Spinners, Weavers and Artisans. 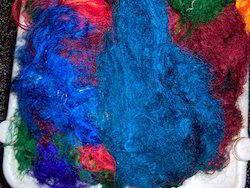 Multicolored Sari Silk Fibers available In a huge assortment of color ways. 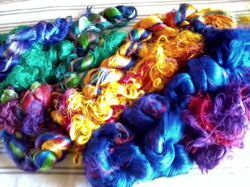 Sari Silk Fibers in Plain Colors, available for Spinners, and Weavers. 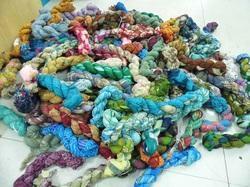 Sari Silk Fibers in Multicolor as well as Plain Colors available per Kg. 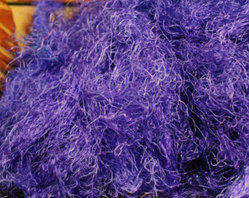 We manufacture a large range of Sari Silk Fibers in Plain colors. 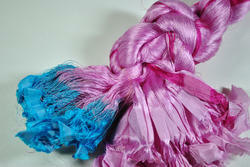 Our Multicolored Sari Silk Fibers are very popular with Spinners. 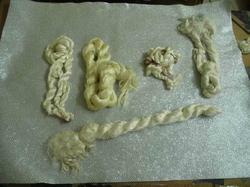 Sari Silk Fibers in Plain Colors as per client specifications. 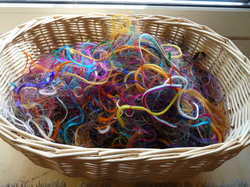 Multicolored Sari Silk Fibers Ideal for Spinning. 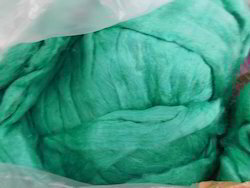 Sari Silk Fiber for Paper Manufacturers We manufacture and supply a large range of Sari Silk Fibers suitable for Paper Manufacturers. We manufacture a large range of solid colored saree silk slivers, saree silk tops, saree silk roving and sari silk fibers for spinners, weavers , yarn and fiber stores. 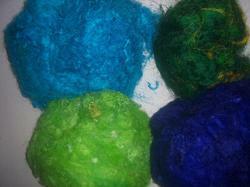 Looking for Sari Silk Waste ?